Exquisite and Luxurious Hotel with Regal Outlook. SD Royal Inn is an exquisite and luxurious property located in Durga Colony at Jharsa Village, Sector 39, Gurugram. The decor is fashionable and classy at the same time. The wallpaper gives the room a regal look. Theres also a full-length mirror and a chair-set.Each room is equipped with free Wi-Fi, mini-fridge, AC, and TV. 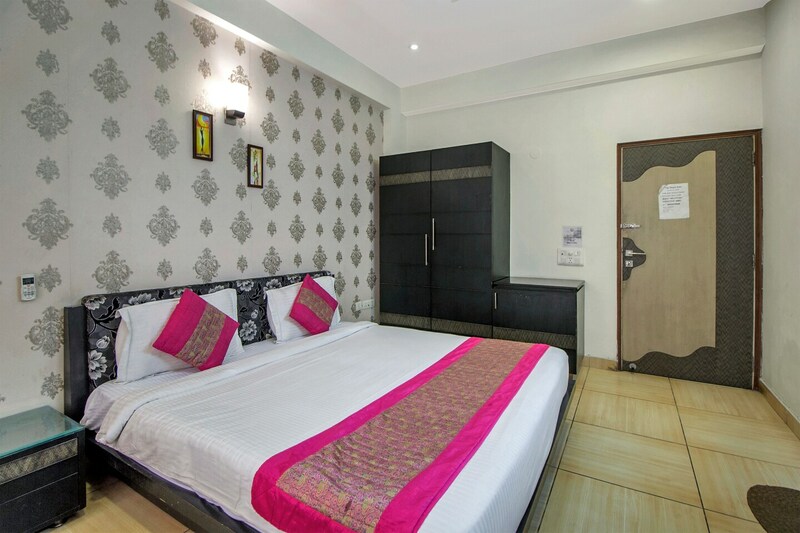 The hotel offers power backup, laundry facility and has CCTV Cameras for Surveillance.The restaurants and market places nearby are Dunkin' Donuts, Indian Bistro Company, Fresh From Oven, Twigly, Hotel Malabar, Star Mall, Raheja Mall, Monte Carlo, Omaxe Celebration Mall, and Coupon Dekho.